Make this inviting home in Pheasant Ridge yours today! 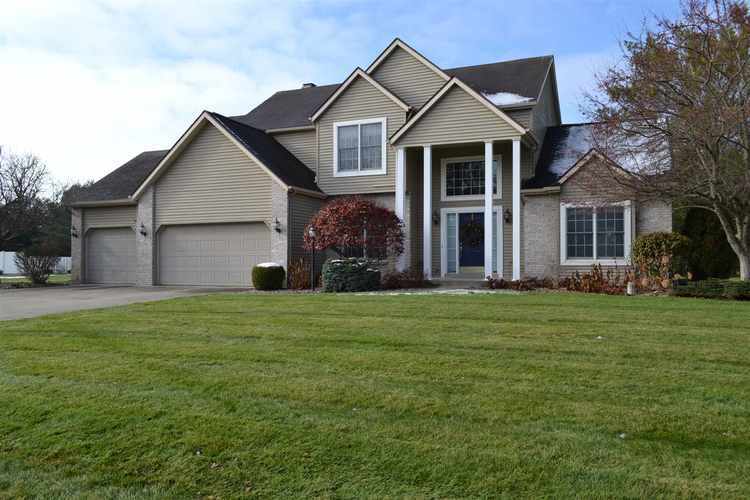 The home boasts 4 large bedrooms, 2 1/2 baths, spacious 3 car garage, and finished basement. Relax in the large master suite that includes a wonderful jetted tub with separate shower. Enjoy the outdoors on the back patio and well kept yard with nice landscaping. The neighborhood offers tennis and basketball courts, soccer / football field, sand volleyball court, children's playground, stocked lakes, and plenty of room for walking, running, or biking. All appliances are included, so all you have to do is move in. Directions:County Road 8, North to Pheasant Ridge Dr. Property on west side of road.